SWEMA has published a template for a stormwater maintenance agreement between the builder and the owner and a template for a stormwater maintenance ordinance. Contact Laurie Honnigford for more information, [email protected]ssociation.com or +1 (720) 353-4977. Storm Water Solutions provides high-quality editorial content covering the latest storm water and erosion control industry developments. 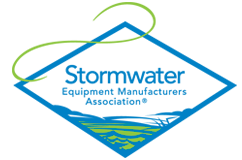 Subscribers include engineers, contractors, government officials and other professionals who actively design, specify, buy, operate and maintain storm water and erosion control industry equipment and services.